Buying a home is one of the most important transactions you will make and selecting the right inspector for your home purchase is absolutley essential to ensure that you make the right decisions. 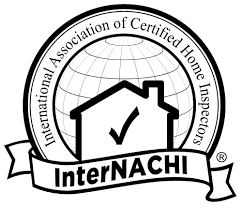 You need more than an inspector that just shows up and goes through the motions; you need an inspector that is meticulous, thorough, and trained to identify what others wouldn't. We, at Veritas Engineering and Inspection are licensed and Professional Engineers registered in New York State who will go beyond simply walking around a house looking for the most common problems. We will help you ensure that your dream will not become a nightmare. I also perform structural inspections!!! Safety hazards, such as an exposed, live bus bar at the electrical panel. Anything in these categories should be addressed. Often, a serious problem can be corrected inexpensively to protect both life and property (especially in categories 2 and 4). I was in a rush to get a structural engineer and Jeff was very quick in responding to my request. He knew his stuff and I was very happy with his services. I already used him for a second job and will definitely continue using his services and recommend him to my clients. I used Veritas when purchasing my second home after having a less than ideal inspection of my first home. The differences in inspections were astounding. First, it was clear that Tom and Jeff had a very in-depth understanding of structures and the inner mechanics of a home, which makes sense as they are both Professional Engineers. Second, they took their time on the inspection and even allowed me to tag along and ask questions. This probably added a considerable amount of time to the inspection, but they did not rush me at all. Lastly, they provided a very detailed and "in plain english" report to me quickly. Even after my inspection, I had a few questions and Tom and Jeff answered them without hesitation, even though they were under no obligation. I would recommend Veritas to any homeowner, without hesitation.